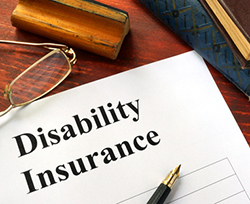 What’s the best Disability Insurance policy for you? Determining the right policy means understanding the language of disability insurance so you can evaluate how the differences might affect you. Here are some terms you need to know. The Total Disability definition is one of the key components and differentiators of policies today. This definition is commonly, though not accurately, referred to as the "own occupation" clause and is an extremely important clause for physicians, attorneys, and other professionals. The most comprehensive definition, called "true" (or "regular") own occupation in the market, will define disability as the inability to perform the substantial and material duties of your occupation. Policies with this definition of total disability will continue to pay benefits if you are disabled in your occupation and working in another job or occupation. Make sure that this definition applies to your policy "to age 65" or longer. A modified own occupation policy definition is less comprehensive and will define disability as the inability to perform the material and substantial duties of your occupation and you are not engaged in any occupation for wage or profit. Policies with this definition will reduce benefit payments in proportion to the income earned from another job or occupation. Elimination Period refers to the number of days of total or partial disability that must pass before benefits are payable. Most policies today are issued with a 90-day elimination period. If you have substantial savings accumulated, a 180-day or 365-day elimination period should be considered. Benefit Period is the maximum amount of time that you can receive benefits. Typical benefit periods are "to age 65" or "to age 67". Guaranteed Renewable means the insurance company guarantees to renew the policy each year, regardless of changes in health. In addition, it cannot add any restrictions or change any policy provisions. But it does reserve the right to raise premiums for all policies in a given class with the approval of the insurance department in a given state. Non-Cancelable prevents the insurance company from raising the premium unless the benefits are changed by the policyowner. It does not mean that the policyowner cannot cancel the policy. Non-Cancelable and Guaranteed Renewable clauses are very important risk management features. Residual Benefits allow you to receive benefits even though you are still earning income and performing some of the substantial and material duties of your own occupation. Some people refer to it as the partial disability clause. Almost every policy sold to professionals contains a residual benefit. Some policies have this feature built in to the base policy while others offer it as an option. The Cost of Living Adjustment (COLA) rider is a post-disability benefit that increases the amount you will receive after every 12 months of disability. Yearly increases are either a fixed percentage or tied to the Consumer Price Index. This option is highly recommended for people under the age of 45. Future Increase Option (FIO) goes by several names including Guaranteed Insurability Option, Future Purchase Option, Benefit Update, and Guarantee of Physical Insurability Rider. It allows you to purchase additional insurance at specified times without any health considerations or medical tests. This option is frequently included on policies insuring younger people whose income is expected to increase. The differences between polices involve the amount of additional insurance that can be purchased at each option date and the frequency of those option dates. Some policies offer option dates each year, some every other year, one company every third year, and one every five years. Catastrophic Disability Benefit is one of the newest riders and pays an additional amount of insurance, above and beyond the base benefit, when an insured is deemed to be catastrophically disabled by virtue of their inability to perform 2 out of 6 Activities of Daily Living. Policy Exclusions represent claims that most companies will not cover, such as disabilities caused by war or an act of war, self-inflicted injuries, disabilities arising from participation in or commission of a crime, or occurring in a penal institution. In addition, pre-existing conditions may not be covered unless they were fully disclosed on the application. Underwriting Offers with Exclusion may occur after a review of medical records and tests, resulting in policies that exclude certain disabling conditions. Benefit Limitations may arise from Mental and/or Nervous conditions and Drug or Alcohol abuse (MNDA). We monitor a wide spectrum of policies and insurance companies and will help you navigate decisions about the right policy for your income risk management goals and circumstances. Once we help you determine the features and benefits you want to consider, we address how much you can purchase. How much disability insurance can you purchase? The amount depends on two variables—the amount of earned income and the amount of other disability insurance already in place. Contributions you make to your retirement plan(s) count as earned income, but unearned income such as dividends, capital gains, interest, and rent do not count. Having verified earned income and all other disability coverage, each company publishes an Issue & Participation (I&P) chart specifying the maximum amount of insurance that they will "issue" to you, and the amount they will "participate" with other companies' policies. The answer to the question how much can you purchase begins with how much of your current income is needed to cover your monthly expenses. *Guarantees and benefits provided by life insurance products are subject to the claims-paying ability of the issuing insurance company.